As you already know, there’s no shortage of mind-blowing restaurants and groundbreaking breweries and wineries in the City of Roses. So it’s no wonder some of the best food and drink festivals in the country call it home. Here, six you can’t miss. Disregard the name, this beer week lasts 11 full days, showcasing how delicious and diverse hops and malt can be. The festival is split with events, for example, like an entire weekend devoted for fruit beers and a Rye Beer Fest celebrating the deserved comeback of what else, rye beers. The popular Beer and Cheese Festival educates guests on how to pair to beer with their favorite snacks, like cheese, chocolate, and charcuterie. 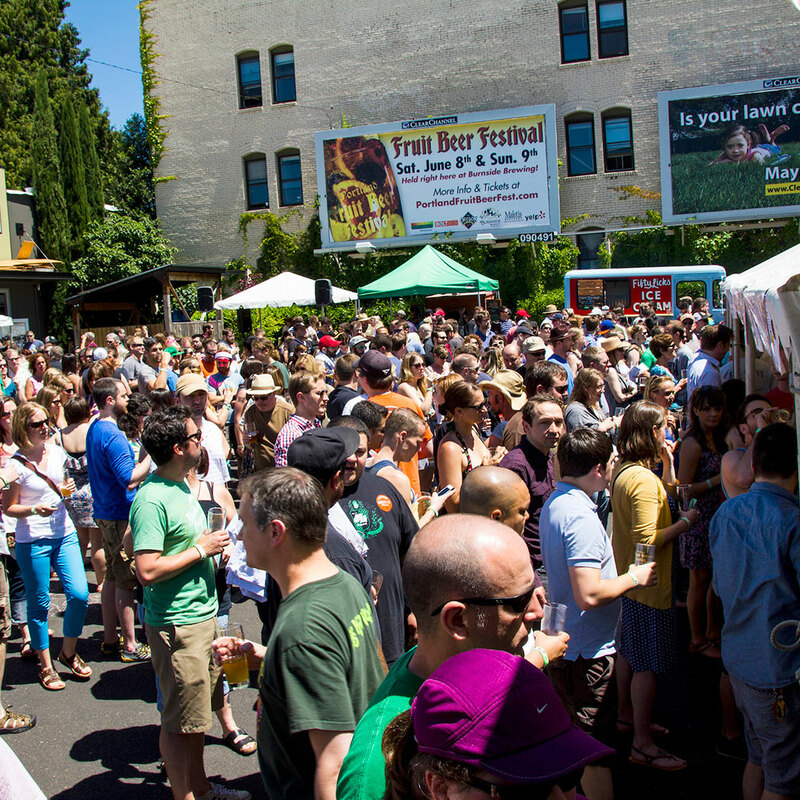 An offshoot of the wildly successful festival of the same name in Los Angeles, Portland’s version delivers on LA’s promise of introducing you to some of the best-tasting and cruelty-free beer (hooray for the unlimited pours) and munchies out there. A steady stream of live music keeps the relaxed vibes going strong. The summer of beer continues. Attendees can sample beer from one of the 70+ breweries located within the city’s borders, and try locally-produced ciders and wines as well. Food trucks like the popular dumpling-doling Dump Truck will be on-site to appease the drunken masses. Locals liken this waterfront festival, now in its 33rd year, to a big block party. The mix of restaurants, food carts, and dessert purveyors is an affordable and social way to try little bites (priced between $2 and $9 each) from all over the state. You can drink locally, too, with the wine bar provided by urban winery, SE Wine Collective. The event is cash only, so don’t forget to bring those dollar bills. This 4-day festival kicks off fall in true Portland fashion by bringing together the coolest (not flashiest, thankfully) culinary characters. Like Aaron Franklin, Jenn Louis, Elias Cairo and Chris Cosentino. The chef hosted dinners, marquee events, and brunch village are obvious draws, but it’s events like last year’s infamous after-hours house party (hello, ice luge) that really sends it over the top. What better way to shake off the winter blues – in the middle of Dungeness crab season, no less – than being surrounded by Oregon’s bounty of pristine seafood and Willamette Valley’s world-class Pinot Noirs? Oh, and the annual oyster “shuck and swallow” competition is as crazy fun as it sounds.